Authentic - pTrumpet is a truly authentic musical instrument that has sparked a revolution in the way the music industry thinks about trumpets. pTrumpet follows in the footsteps of its sister instrument, pBone, the world's bestselling trombone. 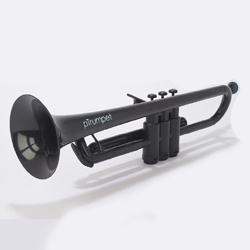 Innovative - pTrumpet is the only trumpet with a fully plastic valve system, which we have designed and developed to create unrivalled lightness, durability and sound quality. Our patented lead pipe technology ensures a vibrant and focused sound. It is tough, taking knocks and bumps in its stride - thanks to its precision plastic engineering. 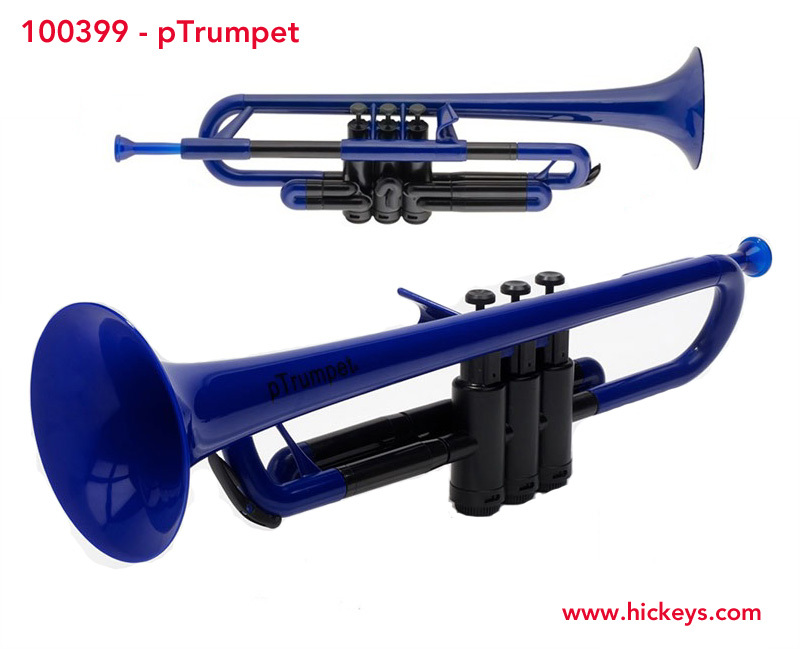 Accessible - pTrumpet is less than half the weight of a brass trumpet due to the plastic material throughout the whole instrument, so it's ideal for the younger player and for all those who may have difficulty with the weight and balance. Its unrivaled price enables everyone to enjoy the quality of an equivalent metal instrument at a third of the cost. Happy in the hands of the world's seasoned professionals, pTrumpet is also the perfect starter instrument. Adjustable Tuning Slides - The all-plastic main, first and third valve tuning slides give you the flexibility of tuning that you would expect of any trumpet. BioCote Protection - For the first time in a musical instrument, pTrumpet incorporates patented anti-microbial technology from BioCote, which provides the highest standards of protection. NOTE: Free Shipping offer does not apply to pTrumpets.